The game of golf, at least as we know it, was born on the links land of eastern Scotland over 500 years ago. While it’s now played by tens of millions of golfers around the world, Scotland is still widely known as the home of golf. It is home to iconic Old Course at St Andrews and the R&A, the site of the first Open Championship back in 1860, and the birthplace of Old and Young Tom Morris. It’s still hard for me to believe that in all my golf travels, I’ve yet to make the pilgrimage to tee it up in Scotland. There’s no question I want to play historic links layouts like St Andrews, Muirfield, North Berwick, Carnoustie, Royal Aberdeen and others. 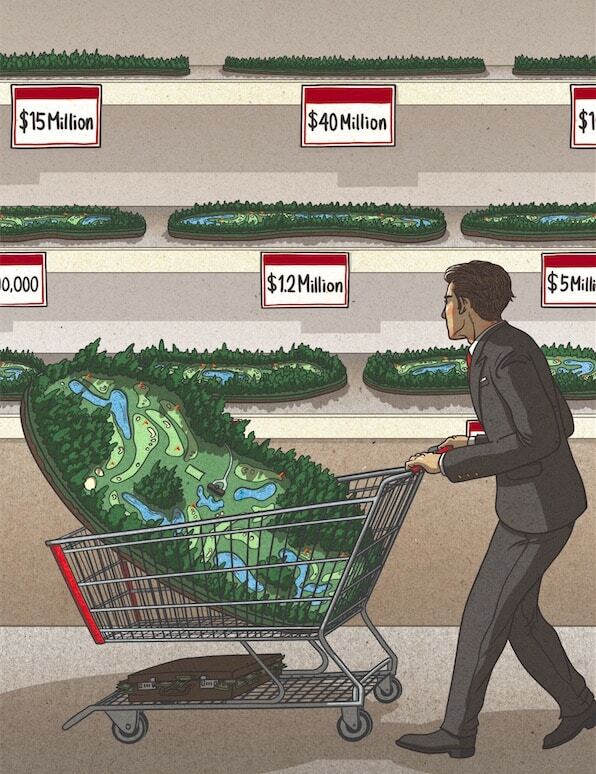 But during my research, I also found myself wondering about the modern Scottish courses I’d most like to play. With a wealth of courses dating back hundreds of years, I considered “modern” to be anything that was built and opened since 1970. 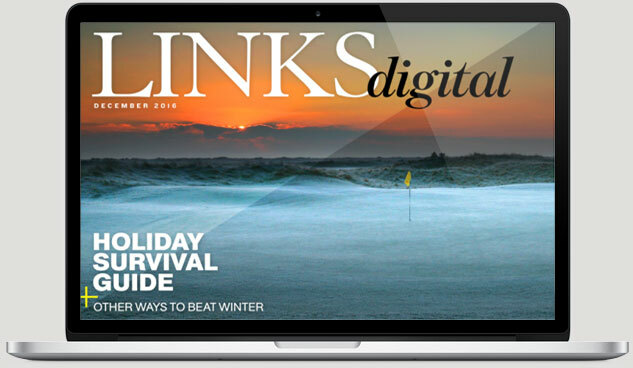 While golf was played across the linksland of Kingsbarns dating back to 1793, Kingsbarns Golf Links didn’t open until 2000, the creation of American architect Kyle Phillips. 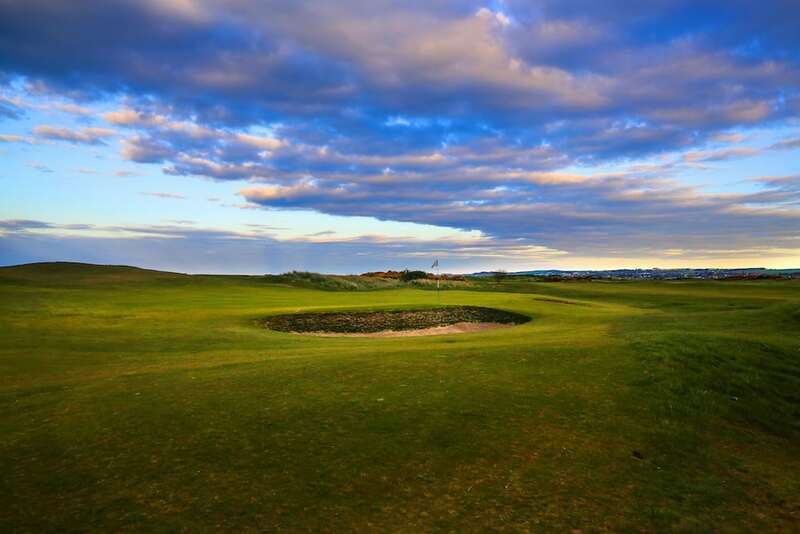 The course is roughly seven miles from St Andrews and sits along 1.8 miles of picturesque North Sea coastline, with views of the water from almost everywhere on the course. This modern masterpiece was built on heaving terrain that’s perfect for golf and looks like it has been there for generations. Like Kingsbarns, Castle Stuart is the vision of American developer Mark Parsinen and overlooks the Moray Firth and well-known landmarks synonymous with Inverness and the Black Isle. This Gil Hanse design was created to join iconic courses like Royal Dornoch, Nairn, and Brora as can’t-miss golf destinations in the Scottish Highlands. Along with spectacular vistas, golfers are surrounded by a rugged landscape with vast expanses of gorse, broom, heather, and sea marram. Golfers had to wait for the opening of this Aberdeen jewel several years longer than expected because of protests by environmentalists and landowners, but it was worth it. 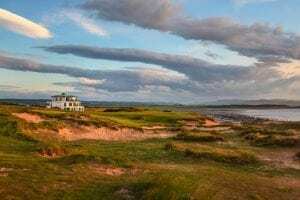 Martin Hawtree (whose father and grandfather built Royal Birkdale) stayed true to the tradition of Scottish links in creating a natural course that has the potential of hosting a major championship. 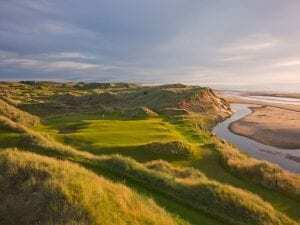 Set amidst soaring dunes and tucked on a three-mile stretch of the North Shore coastline between Cruden Bay and Murcar Links, Trump International is an absolute visual spectacle. 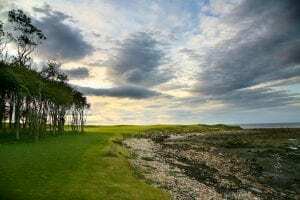 This distinctive course built on East Lothian’s Archerfield Estate, next to Muirfield, was the first Scottish design for acclaimed American architect Tom Doak, who caddied at St. Andrews when he was in college. While little earth was moved during construction in true Doak style, there was extensive clearing from the heavily-treed 300-acre property. 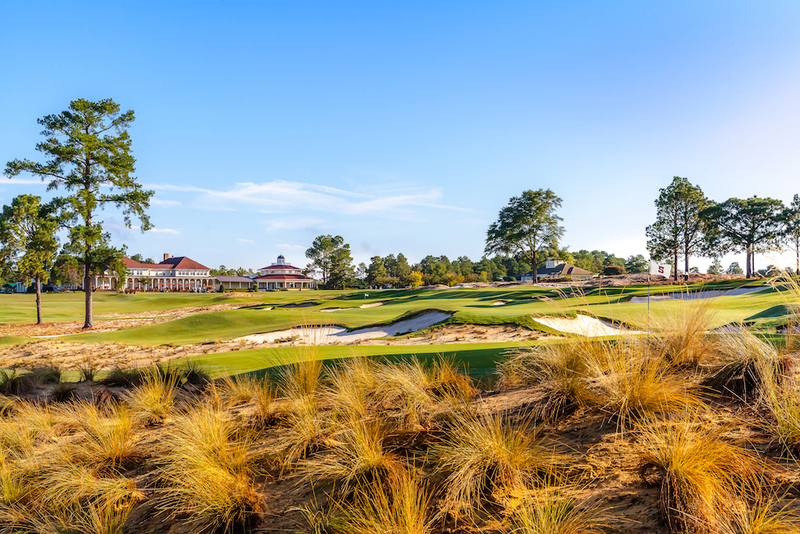 What remained was sandy soil, a windswept landscape and open dunes, but certain trees were also left to enhance the beauty, add to the challenge and give the course a unique style. 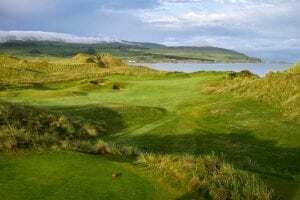 More than 100 years after Machrihanish Golf Club was laid out by Old Tom Morris, David McLay Kidd built Machrihanish Dunes on neighboring dunescape that shares the same breathtaking views of the Atlantic Ocean along Scotland’s west coast. 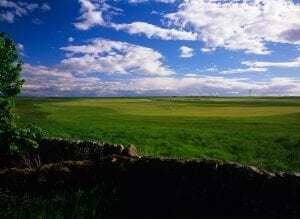 Flocks of sheep roam this rough-around-the-edges, no-frills course, which is built on pristine linksland protected by the Scottish government. Kidd’s design encourages thought, creativity and imagination. 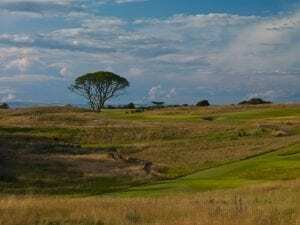 The first course Gil Hanse built outside the U.S. provides a noteworthy contrast to Crail’s ancient Balcomie Links, with a treeless cliff-top course that has panoramic views of up to 100 miles. There’s a World War I pill box behind the 7th green and “Danes Dyke,” a 1,200-year-old defensive wall built by Viking marauders that comes into play on four other holes. It’s one of several stone walls incorporated into a layout with greens that have been likened to those at Muirfield. Other top modern Scottish courses worthy of consideration: The Castle Course at St Andrews (2008), Dundonald (2005), King Robert the Bruce – Trump Turnberry (2017), The Duke’s at St Andrews (1995), Skibo Castle – Carnegie Club (1995) and Archerfield – Fidra (2004). 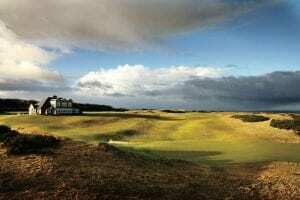 What are your favorite modern Scottish golf courses and which ones did we miss? Let us know in the comments below!